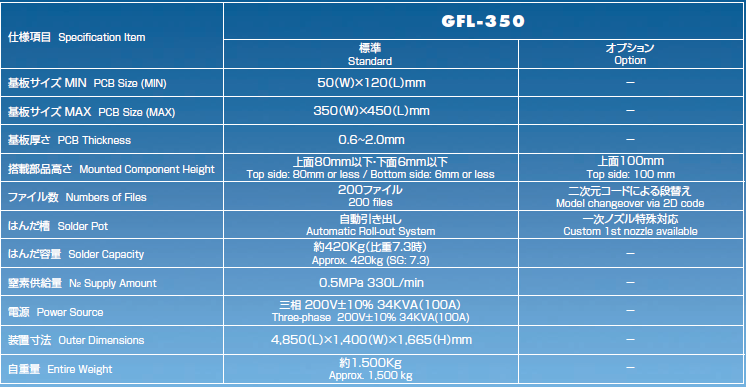 【KOKI TEC】 GFL-350N | Products （Flow Solder Equipment ）| MASS CO., LTD.
Open tunnel structure without air block curtain, available for Max 100-mm-high components. Mist collection and PCB cooling system embedded in the N2 tunnel. Low O2 level preheat zone with far-infrared heater and hot-air circulation system. 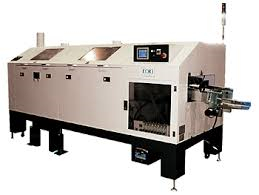 Wave soldering system designed to reduce solder dross & solder ball generation.